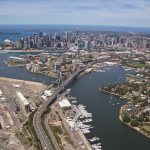 the Superyacht Industry in NSW continues to forge ahead with new developments and infrastructure, and more service providers catering to an ever increasing number of large superyachts choosing to visit our shores. 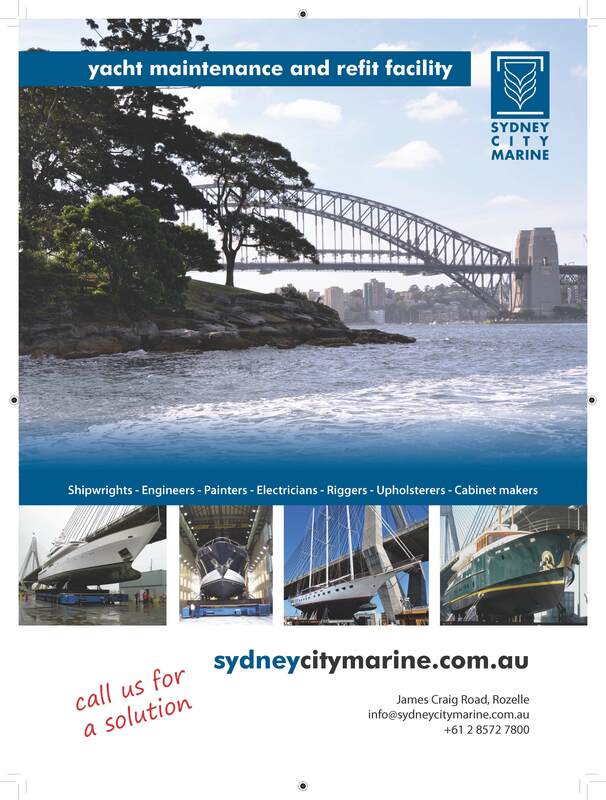 THE NSW Superyacht Industry Association – Superyacht Sydney exists to provide superyacht owners, captains and crew with as much information as possible about cruising NSW and to put them in direct contact with the leading service providers that will contribute to making your trip a total success. 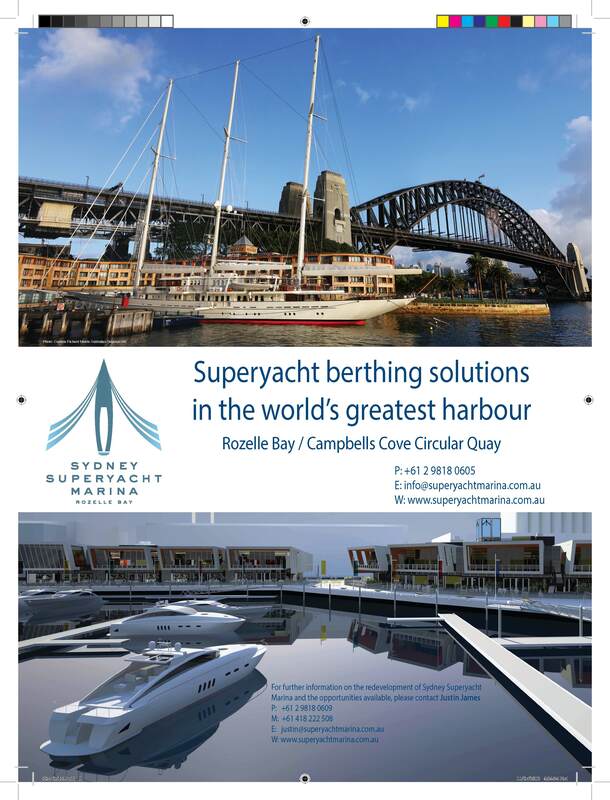 The Association produces an annual Directory and this is mirrored on their website www.superyachtsydney.com.au. 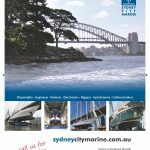 It is not only a directory of available services, but also a mariner’s sailing guide to ensure that visitors to NSW are fully aware of all the fascinating destinations there are to visit. Superyacht Sydney and its member companies are ready to ensure that your visit to this unique and beautiful part of the world is as successful and as rewarding as it could be. The coastline of New South Wales stretches for over 630 Nautical Miles from the Queensland border in the north to the Victorian border in the south. 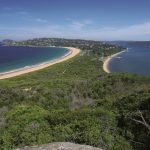 Whilst NSW is home to major ports on the coast such as Sydney, Newcastle and Port Kembla, it also has a variety of interesting, picturesque and safe cruising areas that offers year round cruising for all types of vessels. The southerly flowing East Coast Current is quite predominant and superyachts cruising south and wishing to hitch a free ride on this current that sometimes runs up to four knots should track down the 100-fathom line clearly depicted on the Australian charts where it runs strongest. Conversely, those tracking north should remain close inshore to keep out of the current. New South Wales is entirely in the temperate zone. The climate is generally mild, equable and mostly free from extremes of heat and cold. NSW is not in a cyclone prone area and thus enjoys a climate well suited for superyacht refit, particularly with humidity levels that are most suitable for superyacht painting all year round. The climate of the coastal strip is influenced by the warm waters of the Tasman Sea, which in general keep the region free from extremes of temperature and provide moisture to increase rainfall; the annual median of which ranges from about 750 mm in the south to 2000 mm in the north. Sydney Harbour is world renowned for its natural deep water channels, its Opera House and Harbour Bridge, and is thus one of the world’s most beautiful harbours. It is also a thriving port that caters for an unrivalled mix of commercial shipping and recreational boating activities including the start of the famous Sydney to Hobart Yacht Race and the spectacular New Year’s Eve fireworks, that has helped Sydney secure the mantle of ‘New Year’s Eve Capital of the World’. Sydney has been actively promoting itself as a destination for superyachts since 1998 and has enjoyed over 400 superyacht visits since then. It now offers everything a superyacht captain or owner may desire; from protected cruising waters inside the harbour to fine dining and world-class shopping and cultural activities. It has excellent berthing facilities in Rozelle Bay and Campbells Cove and a diverse range of technical support and refit infrastructure that provides visiting superyachts with a superb base in which to remain to undertake maintenance whilst waiting for the next cruising period. It is a great place for crew to relax and have a good time. 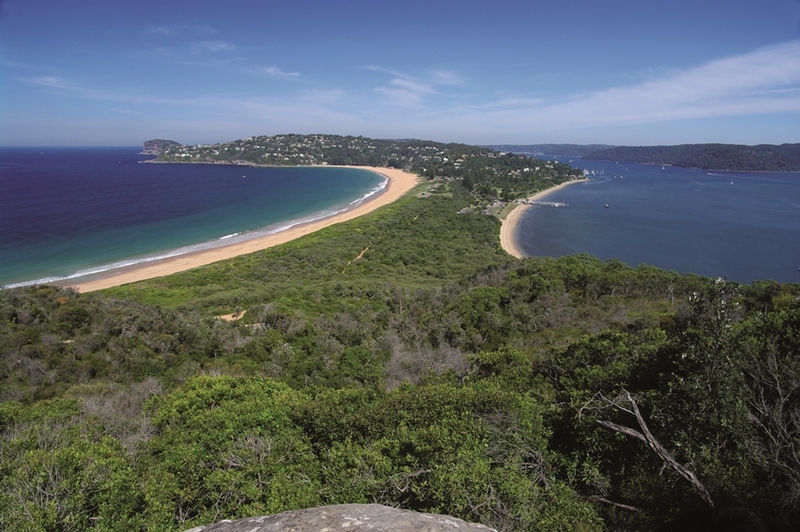 Broken Bay is located 15 Miles to the north of Sydney Harbour. It is the entrance to the Pittwater, Hawkesbury River and Brisbane Waters estuaries. Numerous superyachts have enjoyed a day cruise or extended stay within the protected waterways, enjoying the unique, pristine and secluded national park. 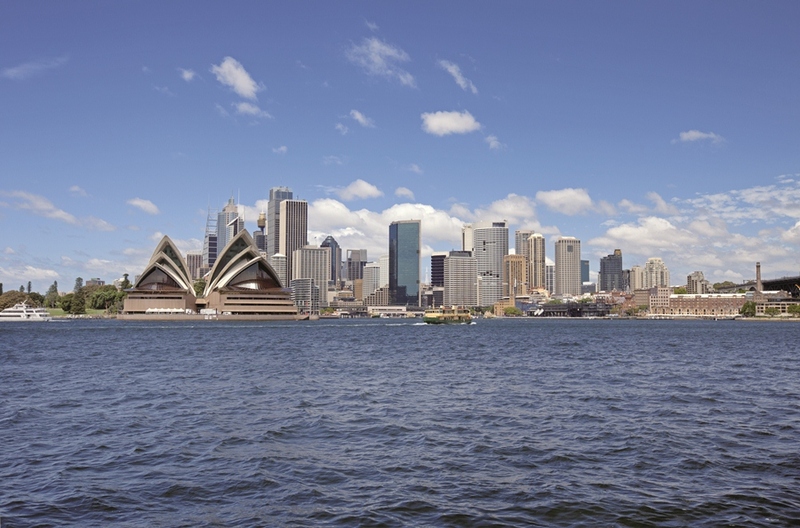 It is an ideal day cruise from Sydney or stop over on the trip between Sydney and Newcastle. Newcastle, city 60 miles north of Sydney, is a vibrant and thriving centre offering a relaxed lifestyle and unique cultural experiences. Newcastle Harbour is a deep-water port with no draft or air-draft restrictions and provides close access to the Hunter Valley Wine District. 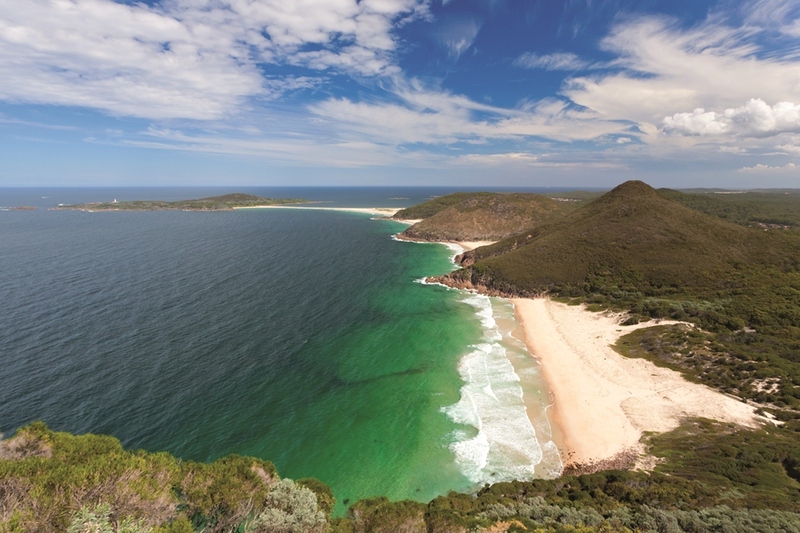 Port Stephens is the perfect place for superyachts to spend some time cruising. The region offers exceptional game fishing plus beach, rock and estuary fishing. Port Stephens has numerous large marinas located on the southern shore. From Port Stephens it is only 40 minutes by road to the Hunter Valley Wine District which boasts many high quality wineries producing some of Australia’s best vintages. 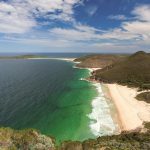 The North Coast of New South Wales, from Port Stephens to Tweed Heads, is famous for its sub-tropical climate and the multitude of pristine sandy beaches and marine habitat. Superyachts cruising this area of the coast will be able to find shelter at various convenient locations, depending on weather. Points of interest include Port Macquarie, Trial Bay, Coffs Harbour, Clarence River and Byron Bay. The South Coast of NSW, also known as the Sapphire Coast, is picturesque and has two places in particular that can offer an interesting diversion for guests or shelter from inclement weather. They are Eden and Jervis Bay. Eden is almost equidistant between Sydney and Melbourne. 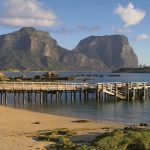 Located 450 miles north east of Sydney, Lord Howe Island is a small, spectacular volcanic island boasting rainforest-clad slopes rising above a pristine lagoon fringed by the world’s southernmost coral reef. 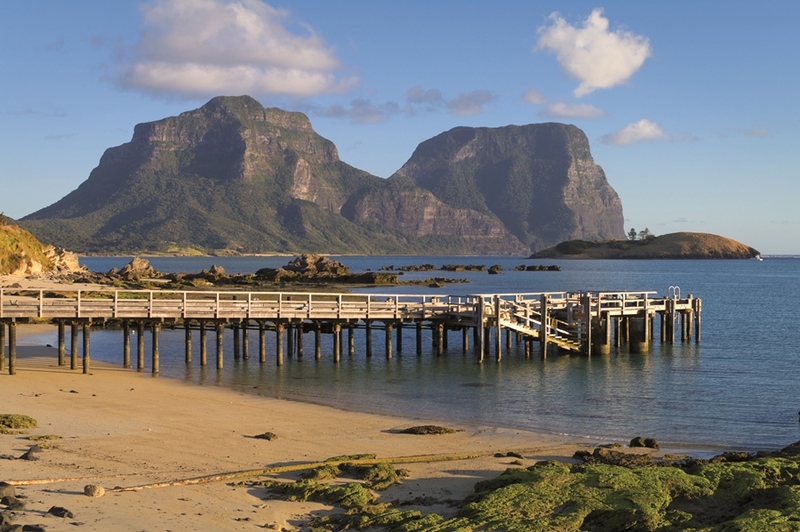 Due to its unique beauty and biodiversity, Lord Howe Island was inscribed as a World Heritage Site in 1982 in recognition of the rare birds and plant life, and coral reef in unpolluted and virtually untouched waters. If weather conditions are right, it is an impressive superyacht stopover that rivals the Galapagos Islands! 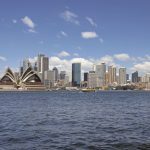 Superyacht Sydney, the NSW Superyacht Industry Association, has over 60 member companies, all of whom are leaders in their fields at providing visiting superyachts the services that they require. 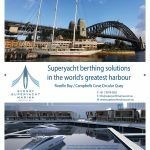 Their details and services are listed at www.superyachtsydney.com.au . Services provided range from marinas and shipyards, engine repairers and painters, hotels, agents, and just about every other conceivable service a visiting superyacht may need. The members of the Association all work together in a cohesive fashion to provide visiting superyachts with the high quality service and support they expect in other yachting regions around the world. Sydney Superyacht Marina in Rozelle Bay, built specifically to cater for demand generated in the lead up to the Millennium celebrations and Sydney 2000 Olympic Games, now stands as a post-Olympic legacy for superyachts visiting Sydney and wishing to moor securely in a facility located in a well-protected bay close to the city. Additionally, Sydney offers what is arguably the most picturesque and well located superyacht berth in the world; nestled between the iconic Opera House and Harbour Bridge. Campbells Cove has developed a global reputation as a high quality and unsurpassable location in which to berth. Situated on the western side of Sydney Cove, Circular Quay, and adjacent to Australia’s top hotel, the Park Hyatt Sydney, the berth affords magnificent unbroken views of the main harbour and is about 5 minutes’ walk from the centre of Sydney. 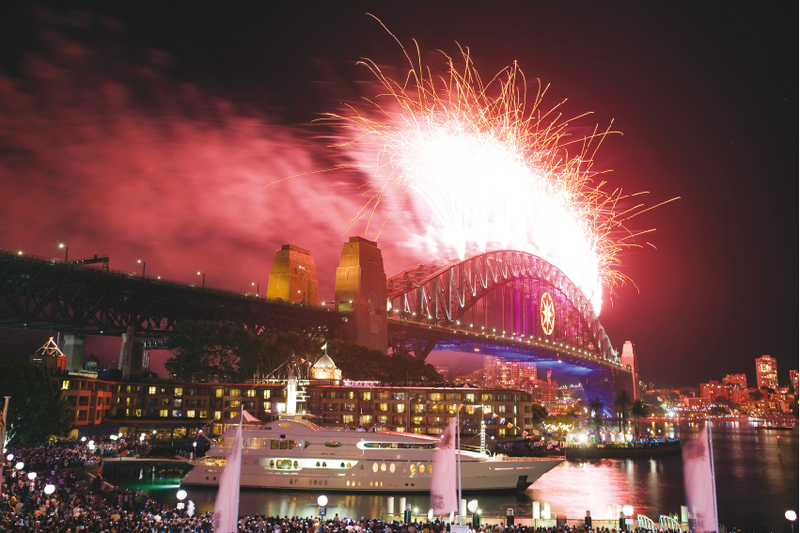 It is a hotly sought after berth for large superyachts wishing to enjoy a front row seat for Sydney’s world famous New Year’s Eve fireworks. NSW has created the infrastructure needed to provide world-class refit and repair services to visiting superyachts. 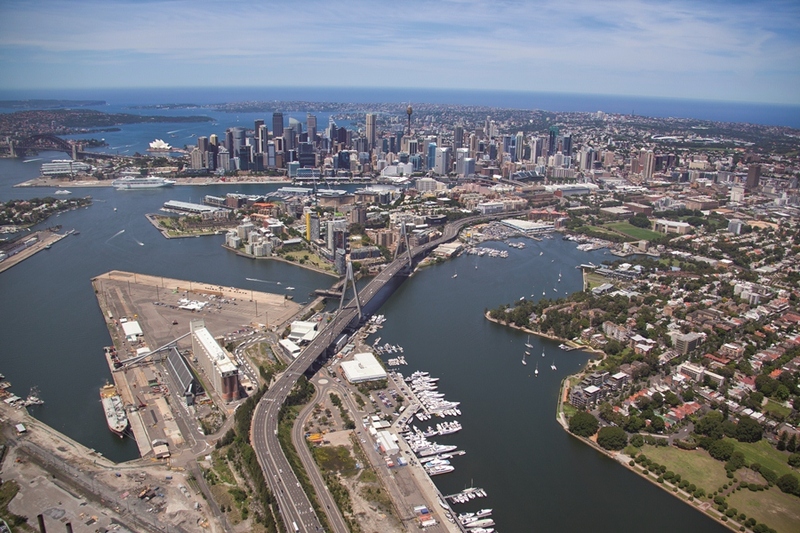 Whilst NSW is already a great place for superyachts to visit, the presence of the shipyard Sydney City Marine and the expert contractor base just further enhances the experience. 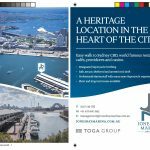 Sydney City Marine is a modern superyacht refit facility in the heart of Sydney Harbour right next to Sydney Superyacht Marina in Rozelle Bay. The facility comprises 5 acres of hardstand with deep-water frontage, repair and paint sheds to 50 metres long, marine service facilities and an 800 ton platform lift. 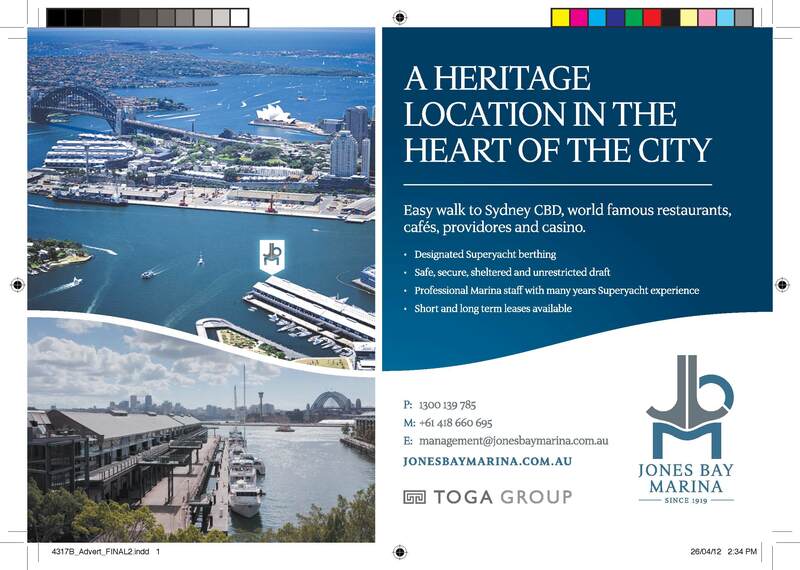 Also located in Sydney Harbour are an 800-ton floating dock and a graving dock for even the very largest superyachts. Westrac are NSW’s authorised Caterpillar dealers and have fully trained diesel technicians than can service Caterpillar engines with the highest level of expertise and workmanship. MTU Detroit Diesel Australia has one of the very few factory overhaul centres outside of Germany, located in Sydney. They are capable of full W6 re-builds and overhauls and have the capacity to turn around overhaul time very quickly. Sevenstar Yacht Transport Australia can facilitate transporting your yacht to and from Australia should you wish an alternative to the voyage. Australian Superyachts is a full service Superyacht Sales, Purchase, Charter, Management, Crew and Yacht Agency that is able to provide assistance and support to all yacht owners and captains, and to facilitate the necessary arrangements for foreign superyachts to charter in Australian waters. Completing repairs and maintenance in NSW is straightforward, especially when visiting superyachts are supported by a diverse and highly skilled supplier and contractor base. Your visit to New South Wales aboard your superyacht will be one of the most rewarding cruising experiences you will discover on your world cruise.